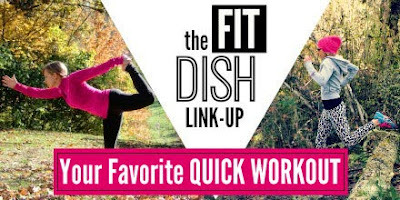 No fault but my own, I know, but I've missed the past couple of weeks posting with The Fit Dish link-up. But, I'm still going to kind of cheat on this one. I just looked up the topic last night, and don't have a lot of time to come up with something new. So, here are two quick workouts that I love. 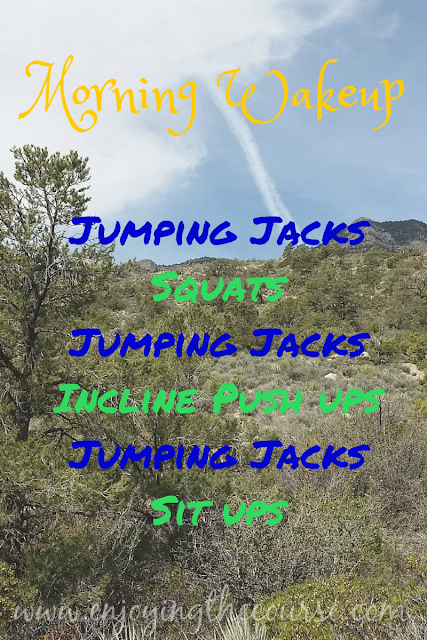 One, I just shared on Friday, but it's my current go-to workout to get my heart-pumping in the morning. I call it my Morning Wakeup. Click to go to original post. I'd suggest a minimum of 10 reps for each exercise. I'm currently doing 25. Two, I originally shared this back in August. It's a little morning yoga routine you can do without even leaving your bed. What's your favorite quick workout? Be sure to check out our hosts Jill Conyers at JillConyers.com and Jessica Joy at TheFitSwitch.org to see what everyone else's favorite quick workouts are. I bet there will be some really fun ones! I have not seen this bed yoga graphic before but I love it! I do a few moves every morning before I get out of bed, my hubby things I am kooky but who cares- it feels great! I do a similar routine before I go to bed especially if I didn't go to yoga that day. It feels so good to just unwind. I need to do it more often, for sure.